Looking at older maps is a great way to learn about how people viewed an area. In times past, map-making was an art, and the attention to detail was incredible. The image on the page had to tell the person looking at the map not only the shape of the area, but what to find while there. In some of the older maps, "colour coding" was used. 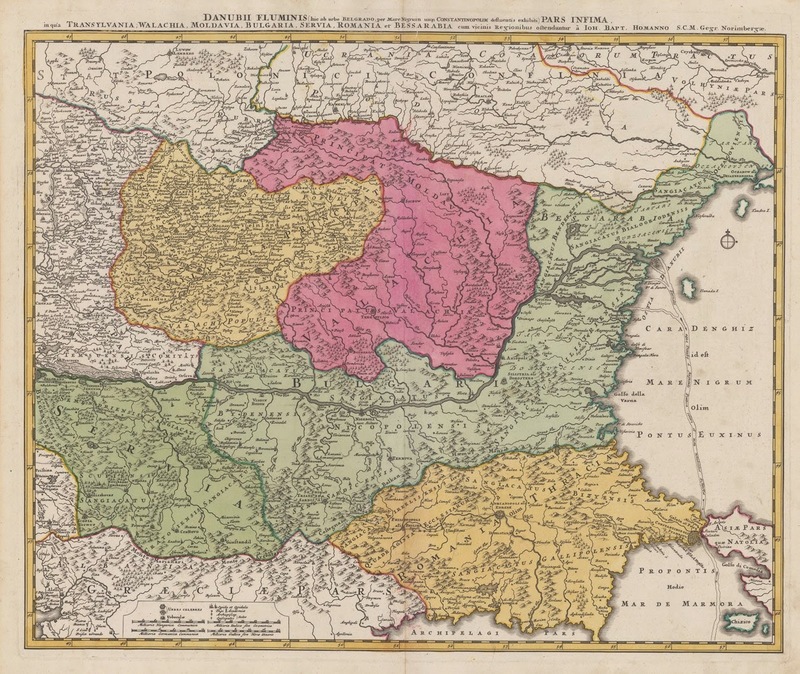 A good example is shown here with Transylvania in yellow and "Romania" (they call it Wallachia and Moldavia in this map) in pink. Before World War I, Transylvania was a part of Hungary, and you can see this in the details of the original map. 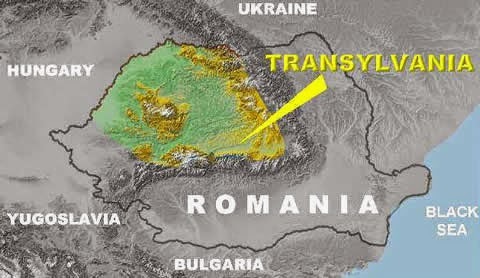 On this map, they refer to Transylvania as "Transylvanie Principat." Map-making was precise, and yet, it needed to share with the person looking at it a sense of wonder. 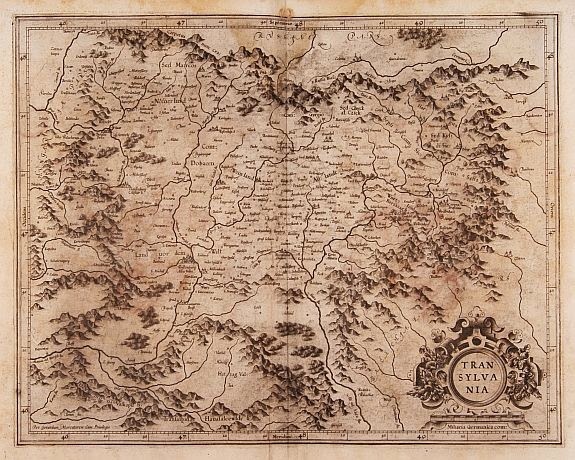 This map of Transylvania focused more of the rivers and mountains around the region. This map was possibly created by someone of German origin since some of the names are not Hungarian or Romanian. In the upper left corner, one can make out the title in German which is roughly translated to "Northernland." This map is not as detailed as the map above, but it does give clues to the person who needs it. Probably, this was used as a "travel guide." Many people who travelled to Transylvania needed some sort of a guide, since it had many dense forests, and it was ringed by mountains. Inside the plateau, there were many rivers, and people who didn't know the area would be lost. More recent maps can be compared not so much as much art forms, but more as givers of specific pieces of information. People can find new places to explore in travel guides, and then they would need road maps to travel to those places. A good example is Transylvania (Bradt Travel Guides (Regional Guides)) . This map gives the potential traveller some idea of where Transylvania is within Romania, and also what the region's physical geography looks like, with the Carpathian Mountains ringing it. To a person needing simple information, this older map (Yugoslavia no longer exists as a state) helps to answer the question, "Where is Transylvania?" In this map, the answer is shown clearly with the Romanian borders surrounding the area. This map is older than the map above, but it is designed to give a person a political understanding of Romania around the time of the "Great Union" between Transylvania and the Kingdom of Romania. Here, the map makers had the goal of showing Romania and the Romanians. Each culture is listed; German, Hungarian, Romanian, and many others, to give a person looking at it an idea of the reason behind creating this particular map, in this case showing the cultural diversity of the area. It is, just like the top two maps, a work of art. The details in it are wonderful, and it gives a person understanding about the culture and languages of the people who lived in the area at that time. The maps of Transylvania, Romania both pre and post 1919 are historically powerful. All of them had a specific goal in mind as to the recipient of the maps. Each one was created so that people could look at them and could learn about the place, the people, and the culture.